Welcome to Day 1053 of our Wisdom-Trek, and thank you for joining me. Wisdom – the final frontier to true knowledge. 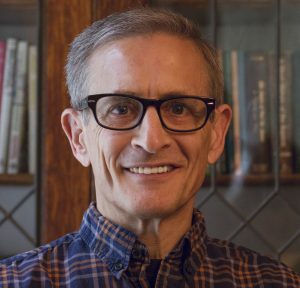 Welcome to Wisdom-Trek where our mission is to create a legacy of wisdom, to seek out discernment and insights, to boldly grow where few have chosen to grow before. Hello, my friend, I am Guthrie Chamberlain, your captain on our journey to increase Wisdom and Create a Living Legacy. Thank you for joining us today as we explore wisdom on our 2nd millennium of podcasts. This is Day 1053 of our trek, and it is time for our Philosophy Friday series. Each Friday we will ponder some of the basic truths and mysteries of life and how they can impact us in creating our living legacy. 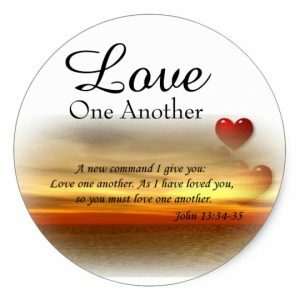 Understanding ourselves and how others may interpret life through their paradigm better allows us to interact with each other with more love and compassion. 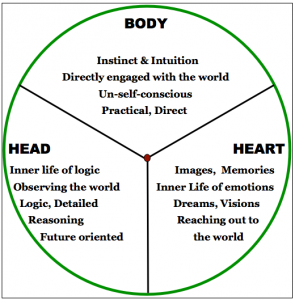 This can be achieved by utilizing a profound tool called “The Enneagram.” The tool that we refer to as the Enneagram (Any-a-Gram) is a circle with nine interconnected points (Ennea refers to 9 and Gram referring to a drawing). Check out today’s or a prior week’s Wisdom Journal for a representation of it. I have also included a copy of “The Enneagram At-A-Glance,” which was compiled by Suzanne H. Eller in today’s Wisdom Journal. If you would like a PDF copy, click on the link in today’s Wisdom Journal located on our website Wisdom-Trek.com. For additional insight, I recommend the book The Road Back to You written by Ian Morgan Cron and Suzanne Stabile. It is an excellent book about an enneagram journey to self-discovery from a Christian perspective. We have concluded our deep dive into the nine types which are “The Reformer,” “The Helper,”“The Achiever,” “The Individualist,” “The Investigator,” “The Loyalist,” “The Enthusiast,” “The Challenger,” and “The Peacemaker.” Eleven weeks ago, we began a series of episodes on Type Combinations, answering the question, “What are the potential relationship benefits and issues with each combination?” Covering all of the 45 different potential type combinations will take several weeks, but will be valuable in understanding each other, regardless of what type you are and what type those with whom you interact with each day are. 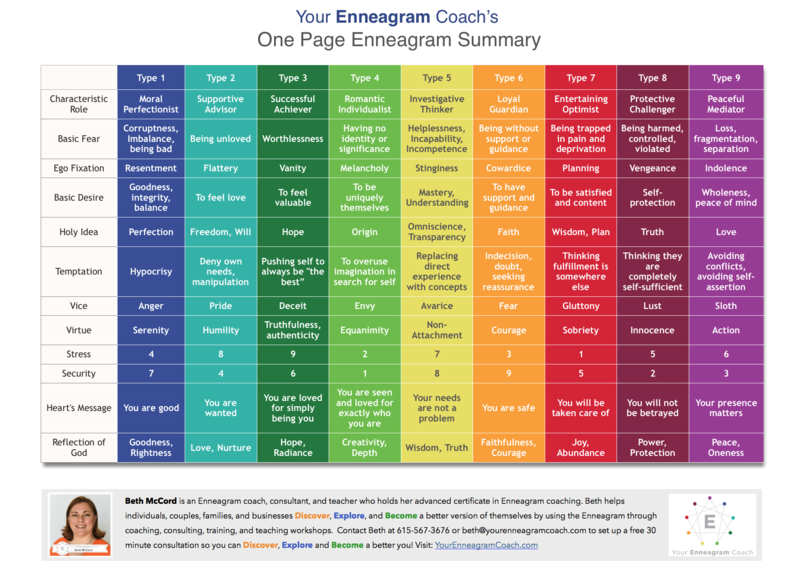 Since we are exploring the Enneagram in detail, I would also recommend reading the Wisdom Journal for each Friday to see the diagrams presented each week. As helpful as the Enneagram is, keep in mind, it is still only a tool and cannot replace or usurp the precepts that are found in God’s Word. All decisions and actions that we make in life must be in harmony with God’s precepts. These two types bring to each other complementary and reciprocal talents — just what the other needs but is not necessarily aware of. For instance, Enneagram Fives need to be more identified with their body and with their instinctive energy; they need to be more engaged with the practical world and to feel their own sense of power and capacity. They can learn these qualities from Eights. On the other hand, Eights need to be more thoughtful and aware of the impact of their actions on themselves and on their environment. They need to know more and to think of consequences more carefully before acting. Every action produces a reaction, and it is not necessarily the one that the Eight wants to happen. This kind of analytic foresight is something Eights can learn from Fives. Besides these qualities, both Fives and Eights bring a common insistence on independence and non-interference from others. Both types are aware of boundaries and dislike intrusion. Both enjoy a good debate, and both admire someone who stands up for himself intellectually and/or physically. Both types feel like misfits, and so they understand each other’s emotional core, often in an unspoken way. Both types need personal space, but when they find each other, they can both show a surprising degree of need and vulnerability. They see the other person behind the defense, relating to each other’s’ sense of dignity and hidden vulnerabilities. Both can be stoical toward their own suffering and unhappiness, with little or no self-pity. As a couple, they can bring power and depth, action and thoughtfulness, brilliance and brashness to their world. They are also the natural protectors and advisors of each other. Eights love to protect less tough Fives, and Fives help Eights recognize the subtleties for their plans and actions. These two types can, therefore, band together as a coalition of power and brains, a formidable combination. Fives are not much in touch with their physical bodies—they identify with their minds and are indifferent to virtually all of the physical and practical goals that more earthy Eights have. Not wanting a house, a company, or a spouse are all sources of pride to average Fives who feel good about themselves when they can cut off from their needs and learn to do without. Eights, by contrast, take pride in their earthly conquests, whether socially, financially, sexually, or psychologically. Making their mark on their environment is a primary goal for Eights, and they often use their physical stature and energy to intimidate people and enforce their will. Thus, the more insecure these two types become, the more they react in completely opposite ways: Fives shut down more completely, become more taciturn, secretive, and isolated, while Eights become more confrontational, threatening, and enraged. The biggest problem is that in the lower Levels, these two separate physically from the other and any real communication ceases to take place. 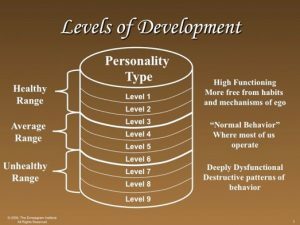 Lower functioning Fives tend to lose respect for anyone they judge to be irrational, destructive, and out of control. The storminess and threats of unhealthy Eights terrify Fives who must physically leave to feel safe. They know and will attack each other’s vulnerabilities if sufficiently provoked—and both Fives and Eights tend to provoke each other as a way of protecting themselves. Both types are also sensitive to rejection, and both tend to feel rejected easily. The Five’s departure will trigger a strong rejection reaction in the Eight who will likely retaliate in any way that he or she can. An Eight’s departure will trigger the Five’s rejection feelings, but more likely with a collapse into cynicism and depression. Both can be extremely cynical, and the demise of their relationship only confirms their darkest opinions about the possibility of human beings living together. An Enneagram Five/Nine pair gives each other a great deal of personal and emotional space for activities and for doing things on their own. Neither one would hover or intrudes on the other although the capacity for a healthy emotional connection and interest in each other is still present. This pair is characterized by a sense of quiet, non-intrusiveness, spaciousness, and respect for each other’s boundaries, work, and individuality. Nines are undemanding and uncritical. Nines are the more emotional of the two types, but even so, Nines do not always know what they are feeling or how to express themselves adequately. They appreciate the Five’s ability to be curious about them and to draw them out of the kind of “inner fuzziness” that Nines can get into. Nines appreciate the Five’s intellectual sharpness, ability to ask the right questions, to remember things, to be objective, and to be patient. Fives appreciate Nines’ warmth—and when there is a real personal or sexual connection between them—their nurturing qualities. Fives usually feel dry and cut off from emotional sustenance; if they find this in someone, it is likely to be a Nine who can offer unquestioned acceptance, sensual comfort, and tenderness. Nines often make Fives relax deeply and completely, something Fives very much need. Tensions between Fives and Nines can begin to grow as a result of the very amount of space that each is willing and able to give the other. Both are highly aware of boundaries and of feeling pressured or intruded on by anyone, and so both tend to expect an unusual degree of independence from the other and to give a large degree of freedom to the other without being asked. For this reason, it is often difficult for Fives and Nines to take the initiative (to make a date, for instance) or to be decisive about calling on a regular basis, or even to know what their feelings are telling them about the other. There may well be a great deal of comfort and intellectual rapport, but one or both of the couple may be relatively cut off from their feelings so that they do not actually know how much they care for the other, or even if they are in love. Nines tend to be more emotionally available and fluid in this regard, liking and even idealizing the Five while they are together, but quickly forgetting those positive feelings when the person is away. Nines easily get into an out of sight, out of mind state where the other might as well not exist if they are not physically together. Nines can also idealize the other so much that when they get together, the Five cannot really live up to the image that the Nine has of them in their imagination. Fives, on the other hand, can become frustrated by the on again, off again attentions of the Nine and begin to become cynical and pessimistic about the relationship, analyzing the Nine and intellectually dissecting the relationship both as a defense from being hurt and as a way to express anger over their disappointment. Both types can be disconnected from themselves and from the other, living in projections and imagination rather than seeing the other as they are. Work and solitary interests can take the Five’s attention, and the pursuit of peace and more supportive relationships can draw the Nine away. Unless there is an intense reason to see each other frequently, the stubbornness, inertia, and autonomy issues of the Nine will mix with the withdrawal, detachment, and indifference of the Five and the relationship will wither away. 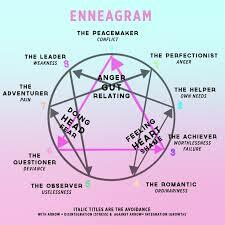 As with all double-type relationships, two Enneagram Sixes generally bring the same qualities to each other. Therein lies both a main source of the attraction as well as one of the main pitfalls. Thus, the Level of health of each person is especially important for these types of relationships as are their dominant instincts. Strong Six couples understand each other deeply and make a point of trying to understand what they don’t understand. Two Sixes usually bond with each other very quickly sensing a kindred spirit, and there can rapidly develop a playful, bantering, buddies-in-arms kind of excited collusion and relief, like two kids who have found each other in the woods and can help each other to safety. A double Six couple will have a sense of shared secrets and values, of intellectual stimulation and questioning that they find both useful and stimulating. Trust is extremely important to both Sixes, and once it has been established, it allows them to relax and enjoy themselves as they do with few others. Trust allows double Six couples to think aloud to test ideas, voice doubts, and suspicions, and to discover what they really feel about various things. They give each other a lot of support and mutual protection, and are ready to come to the other’s aid without hesitation. Loyalty, commitment, and a “You’re my friend—no questions asked” attitude reinforces the feelings of security and safety that they build together. There can also be a great deal of unspoken sensitivity and delicacy in a double Six relationship. Sixes are generally not adept at talking about their feelings directly, so their feelings and attitudes are mostly expressed in their actions and in the depth of their dedication and steadfastness. Each person also inspires the other as each works for the other’s welfare and happiness—often more energetically than they would for their own alone. Double Six couples (whether in intimate or professional situations) tend to be emotionally reactive, and once a spirit of negativity or scarcity enters the picture, their fears can begin to feed off of each other. Double Six pairs can get into worst-case scenarios, and other forms of catastrophizing, each magnifying problems until they both feel like crises are everywhere and that they are doomed. Sometimes extreme reactions will cause them to act impulsively, without thinking through their situation or finding an adequate solution to their problem. They may arbitrarily take action—any action—that promises to relieve their anxiety. On the other hand, double Six couples can become indecisive and fall into a feeling of stalemate and confusion, unable to act and unable to get some perspective on their problems. Since they are also emotionally reactive, they tend to become edgy and argumentative with each other, often blaming the other for the situation and for not providing the solution. Shifting blame back and forth can be like a ping pong match whose main objectives are to keep a connection with the other by keeping them in the argument—and to buy time to work through their anxiety so that a solution may appear. Double Six couples can thus be one of the most keyed up of pairings with lots of yelling, outbursts, arguments, blaming—and making up—in the mix. In the lower Levels, there can be an openly worried, semi-hysterical atmosphere that keeps everyone on edge with nervous pessimism. And yet, it is difficult to break the pattern because so many of the double Sixes’ fears are irrational and based on speculations about the future. There is no way to settle them logically until the future happens. Double Six couples, therefore, tend to wear each other out with negativity, worrying, suspicion, and eventually mistrust of each other. Accusations and feelings of betrayal or lack of support can be part of the picture as this couple sours and find it almost impossible to reestablish trust and the old friendly, playful spirit that they once had. 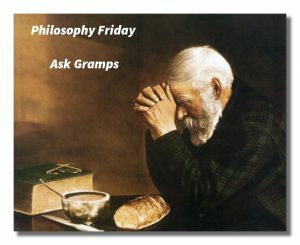 Join us again next Friday as we further explore the Enneagram on our Ask Gramps episode. 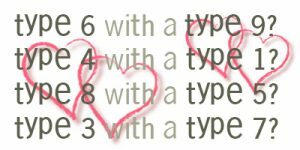 We will continue to explore type combinations and how best to maintain meaningful and productive relationships with each other. The information that we discover will allow us to unlock who we are as we travel on our trek of life and discover more about ourselves and others as we impact God’s kingdom. I know you will find these insights interesting, practical, and profitable in living a rich and satisfying life. Our next trek is Mediation Monday when we will help you reflect on what is most important in life. So encourage your friends and family to join us and then come along on Monday for another day of our Wisdom-Trek, Creating a Legacy. 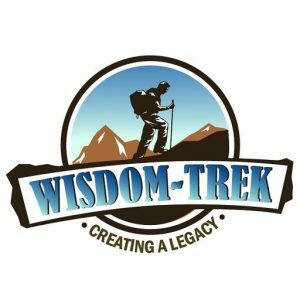 If you would like to listen to any of the past 1052 daily treks or read the associated journals, they are all available at Wisdom-Trek.com. I encourage you to subscribe to Wisdom-Trek on your favorite podcast player so each day will be downloaded to you automatically.